This entry was posted on Thursday, November 18th, 2010 at 2:01 pm and is filed under Photography. You can follow any responses to this entry through the RSS 2.0 feed. You can leave a response, or trackback from your own site. Next Entry: In London. 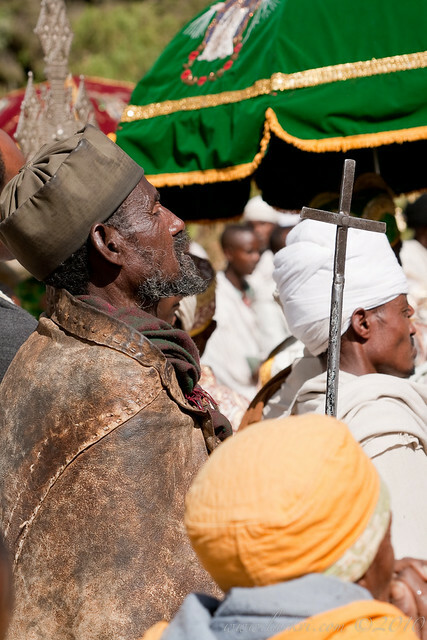 . .
An eremite watches the celebrations outside of the church compound of Maryam Tsion (St. Mary of Zion), the holiest church in Ethiopia, and supposed resting place of the Ark of the Covenant. The yearly festival of St. Mary is the premiere holiday in Axum.